Play activities help your child explore and develop their senses and discover how the world works. Music expands your child’s world, teaches new skills, and offers a fun way to interact with your child. Reading to your child from the earliest days of life shows its importance and creates a lifelong love of books. Not to mention the bonding that happens when you read together! We have to talk about child sexual abuse. When you take a look back, Americans have a long, storied history of recognizing symptoms of illness or causes of injury and responding with innovation and ingenuity – think of clean water, vaccinations and seatbelts. Again and again in the news, we hear stories of children being sexually abused or assaulted, and if Americans would approach child sexual abuse as a public health problem, that same ingenuity and innovative thinking would prevent and possibly eradicate incidents from ever occurring to begin with. Whether you look at national incidence rates (1 in 10 children sexually abused or assaulted before their 18th birthday) or rates in Middle Tennessee, cited by professionals who work with children and teens in the aftermath of abuse (1 in 4 girls, and 1 in 7 boys), child sexual abuse remains a public health problem in the U.S. And because as many as 70% of children and teens never disclose being abused or assaulted, these rates are believed to be much higher. Children and teens should never be alone with an adult or older, more powerful child in a location or situation where the activity can’t be observed or interrupted. Period. When parents and other adults apply the same kind of knowledge and effort to child sexual abuse that we’ve already brought to bear on making sure that our kids wear seat belts and bike helmets and don’t start smoking or using drugs, the number of children injured and suffering will drastically decline. What’s needed is for adults – particularly parents – to learn the facts about child sexual abuse, talk with each other and children about the facts, minimize opportunities for abuse to occur, recognize signs in children and teens who have been or are being abused, and intervene responsibly to prevent further abuse from occurring. What can you do, right now, as a parent? Start here. This is a list of our top 10 best practices for parents to protect their children. 1. Educate yourself and accept that child sexual abuse happens. 2. Discuss body safety with your children early and often. Start now if you haven’t already. These are conversations about privacy, boundaries, private body parts, and respect. 3. Create an atmosphere in your home of openness and honesty. Tell your children to tell you if anyone or any situation makes them feel scared, confused or worried—ie. ‘yucky’ or ‘creeped out’. 4. Choose to believe and protect your children. If they come to you and disclose that something has happened, stay calm and call for help. 6. Teach your kids how to appropriately question and stand up to authority figures, including those you know or trust. Help them practice using different people and situations—for example “I don’t want to give you a hug today, Uncle Joe” or “I don’t need a ride home from practice because my Mom or Dad is on their way”. 7. Talk about child sexual abuse with your friends, family and colleagues. Become familiar with local resources in your community for prevention and treatment. 8. Be bold in asking adults, schools, churches, camps and sports leagues about policies and procedures they use to keep kids safe including screening, hiring, training and supervising employees and volunteers. 9. Don’t leave your child in the care of any adult or place that doesn’t welcome your questions about safety and have clear rules in place that address prevention of sexual abuse or harassment. 10. Celebrate people and places committed to preventing child sexual abuse. Start here, but stay tuned for an upcoming post about what Tennessee’s state legislature and our public schools are also doing to educate kids, teachers and parents about prevention of sexual abuse. In the meantime, contact me at cary.rayson@pcat.org, and I will connect you with a local Stewards of Children training. The training teaches adults the facts about child sexual abuse, what they can do to prevent it from happening, and how to respond should they receive a disclosure or discover sexual abuse. With many pools opening this Memorial Day weekend and families gearing up to go on summer vacation, now is a great time to talk with your children about water safety! Whether it’s a backyard or community pool, a public pool, lake, or ocean, making water safety a priority is the first step in keeping children safe. Ensure that everyone in the family learns to swim well. 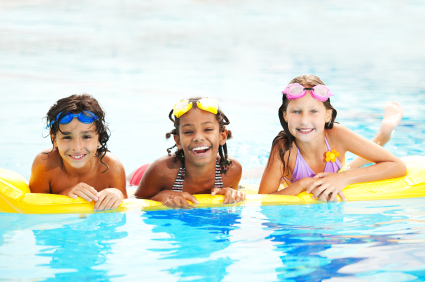 Enroll in age appropriate water safety and swimming lessons. Even when you do not plan on swimming, be cautious around natural bodies of water including ocean shorelines, rivers, and lakes. Adults should avoid the use of alcohol around water for their own safety as well as the safety of the children they are supervising. If you own a home pool or hot tub, have appropriate equipment, such as reaching or throwing equipment, a cell phone, life jackets and a first aid kit. Never leave a child unattended near water and never trust a child’s life to another child; teach children to always ask permission to go near water. Create a verbal cue for your toddler or child that must be given by you before he or she can enter a body of water. Create a process the child must go through before entering a pool such as putting on a swimsuit and applying sunscreen. Have young children or inexperienced swimmers wear U.S. Coast Guard –approved life jackets around water, but do not rely on life jackets alone. Establish water safety rules for your family and enforce them. For example, set limits based on each person’s ability, do not let anyone play around drains and suction fittings, and do not allow swimmers to hyperventilate before swimming under water or have breath-holding contests. Actively supervise children whenever around the water, even if lifeguards are present. Always stay within arm’s reach of young children and avoid distractions when supervising children around water. Never drop your kids off at the public pool or leave them at the beach – designate a responsible adult to supervise. If a child is missing, always check the water first. Seconds count in preventing death or disability. Teach children to open their eyes under water, so that if they fall in they could find the side of a pool or steps and get out safely. Always make sure children wear life jackets on boats, personal watercraft and in open bodies of water. When each member of your family is committed to following these safety guidelines, accidents in and around water can be avoided. Be sure to share your family water rules with anyone who cares for your children or who tags along on trips to the pool or beach. This way children will always know what to expect, and everyone will be safe! We're so happy to have a guest author on the blog this month! Dawn, AKA The Nashville Mom, shares with us her take on parenting, grace and Andy Griffith. Even though I try to make the right decisions for my children, I often fail. I make mistakes, I yell and say things that I later regret. But the good news is that I'm given another chance each day and try to do a little better. How to talk to your children about violence. Violence is a topic that is hard to avoid. Children see news stories on television, overhear their parents talking about the most recent shooting, and even hear other children talking about it. Seeing and hearing about violence in the news can cause children to worry that something similar could happen to them or their loved ones. 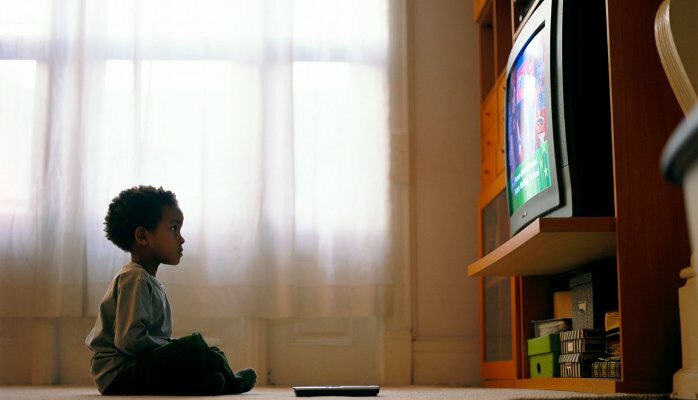 Younger children may not be able to distinguish between real news and movies, but by the time a child is 7 or 8 years old, what they see or hear can cause real fear in his or her own life. While talking about violence with your kids can be uncomfortable and not always easy to navigate, it is important to hear and understand their concerns, and give them reliable information that can calm their fears and help them to cope. Find times when your children are most likely to talk. Riding in the car, at dinner, or at bedtime are all great times to have more in-depth conversations and are also common times for children to feel comfortable opening up. Be prepared to tell the truth. Gauging how much your child should hear depends on their age and maturity level, so you should decide how much truth your child needs to know. Be honest, but there’s no need to give more details than your child is interested in. Put news stories in proper context. Explain that some events are isolated, and show them how one event relates to another. This can help them better understand what is going on. Use the story as an opportunity to talk about the importance of cooperation, generosity, and the ability of people to cope when times are trying. Watch the news with your children. Being present as they view a story can help you address their concerns in real time and can keep them from misunderstanding information that could further fuel their fears. If you are uncomfortable with the content or feel that it is inappropriate for your child’s age, turn it off. Talk about what you can do to help. After hearing of a tragedy, many children feel better when they can find a way to help the people who were affected. This may help them gain a sense of control and feel more secure. Make your home a safe place. When the world seems overwhelming, it’s important for children to have a safe place to retreat to. During a crisis, remember that your children may seek the comfort of home and the safe feeling they have when they are there. While there is no easy answer for why violence happens, helping your child to understand what is happening is a great step in building their ability to cope with a traumatic event. Listening and talking openly and honestly about what is going on builds trust between you and your child and can let them know that they can come to you during times of crisis. Prevent Child Abuse Tennessee is a statewide non-profit organization that partners with parents, providing education, coaching, and support throughout the journey of parenthood. For more information about our programs, please visit www.pcat.org. Dealing with tantrums? We're here for you! Contributed by Victoria Villicana, a family support worker in our Healthy Families Tennessee program. It happens in the blink of an eye. Your sweet, precious toddler who loves to bring you flowers, snuggle before bedtime, and give sweet hugs suddenly morphs into a screaming, flailing, tantrum-ing alien who cannot be reasoned with and cannot seemingly be tamed. “Where did my sweet baby go?” you may ask yourself. You may also ask yourself, “Why must this happen in the middle of buying laundry detergent at Target?” You may blame yourself for “spoiling” your child. You may think it’s happening for no reason. I’m here to tell you, friends, all behavior – including the middle-of-the-grocery-store, everyone-is-staring-at-you, want-to-crawl-into-a-hole-and-hide tantrum – has a function and happens for a reason. The challenge is determining WHY the behavior is happening before you can figure out how to remedy it. Easy, right? Not always, but using this guide may help you to begin learning how to deal. So what are the main functions of these behaviors? I’ve broken them down into four categories: access, avoidance/escape, attention, and sensory. Each has different triggers, and each requires a different approach or response. Use as many words with your child to teach them how to appropriately ask for what they want. Teaching simple words such as, “I want,” and, “all done,” help your child communicate effectively. Aside from simple phrases, it’s very important to teach feeling words as early as birth. Knowing words such as sad, happy, angry, and jealous teach children to communicate these feelings to you. On the receiving end, when a child communicates an emotion, such as feeling angry or upset, you should respond calmly, demonstrating empathy and understanding. If the child trusts that you will do something about it when they communicate their feelings or needs, they will continue to do so and the major meltdowns can (hopefully) be avoided. Kids crave attention, and they will get it however they can. So when they are being ignored, behaviors such as tantrums, meltdowns, and aggression can get them the attention they are desperately seeking, even if it means they are being reprimanded, scolded, or spanked as a result. The best way to proactively treat this kind of behavior is to give the child praise for appropriately seeking attention. If your child does not know how to ask for attention, teach them to gently pat your arm or leg. Reinforce this behavior by immediately giving them attention. If it’s possible, do not make them wait. They need to learn to ask for attention before they can learn to wait for it. Once they’ve mastered the ask, then you can begin to teach them to wait. Provide positive attention throughout the day. Acknowledge good behavior with high fives, hugs, kisses, tickling, having a conversation, or playing an activity your child enjoys. When children are satiated with positive attention, they will no longer seek to engage in problem behaviors to gain your attention. Be realistic when you give your child a task or demand. Make sure that the task is age appropriate. A two-year-old should not be expected to clean an entire room by themselves. Give them the “First this/then that” rule: “Clean up your toys, and then we can play outside, or eat our favorite snack.” If you find that your child is still unwilling to participate, what you’re offering may not be enticing enough for them. So before you make the offer, think about the thing that you know they enjoy and will motivate them to complete the task. As your child complies, praise them! Make it fun. Sing a song, be silly, and make your child want to do this again! Reprimanding and scolding during the task may make your child dislike being compliant, so heap on the praise, and be patient. Like, really patient. Especially if your child is strong-willed. Just go ahead and be prepared to wait, but DON’T change your mind. While you are waiting, don’t allow them access to anything else that is fun. Stand your ground! Be consistent each and every time. This one is hard. You’re tired, you just want to get it done, and you might be tempted just give in and do it yourself. But hang in there! They will learn to comply, and when they do, don’t forget to praise them! Provide an appropriate outlet. If a child is having difficulty adjusting to loud music, remove them from the environment. If that’s not possible, give them headphones and let them listen to soothing music. Most toddlers become fussy and irritated when they lack a routine. Having predictability teaches children when it is time to be excited and when it is time to be calm and quiet. Naps are very important for children at this age. If your kid is the kind who refuses to sleep during the day, encourage them to spend at least 15 minutes of quiet time with no television or loud noises. These are all great methods, but what happens when you are in the middle of an epic tantrum? What should you do then? When you reprimand, scold, or spank a child who is engaging in a tantrum, you may think it will get the child to stop, and it may in the moment, but it’s only a matter of time before they do it again and possibly even more intently. If this is the case, your response is actually reinforcing the behavior. They have learned to behave this way to get your attention. Remember that when you have been reinforcing these unwanted behaviors for a long time, they are well learned, and it will take time to unlearn them, but it is possible! Planned ignoring is used in the middle of a tantrum. Do not yell, scold, or try to reason with your child. With planned ignoring, you ignore your child until they are calm. Put yourself in time-out by walking away, doing the dishes, or reading a book. Tell your toddler one time that you will wait until they are ready to talk. Do not engage with them at this time and be ready to practice lots of patience. Over time, your little one will learn that tantrums no longer get them what they want, and as long as you continue to reinforce appropriate behavior, they will learn to use those behaviors instead. Expect behavior to get worse before it gets better. When using planned ignoring, you may experience what is called extinction. The yelling, fussing, and screaming will intensify. This is normal! You may also see tantrums last a little longer. It’s good news when you reach extinction! It means you are using planned ignoring correctly and it’s working to eliminate the tantrum. Be patient and don’t give in. It’s temporary and will eventually cease. Giving in now would only reinforce the intensity and duration of the tantrum, so hold fast! The only time you should interfere is if the child is seriously harming themselves or someone else. As soon as your child begins to exhibit a calm voice and appropriate behavior, be ready to respond with your own calm voice, and reinforce their appropriate behavior. If you do use punishment, never use it without reinforcement. Never spank, hit, or insult a child. These are types of punishment, but they are also abusive. Always reinforce more than you punish! I wish I could tell you there is a magic silver bullet for eliminating tantrums at this developmental stage. The truth is, every child is so different, and you know them best. Paying attention to patterns, triggers, and your child’s responses to their world is the best way to know how to prevent tantrums and respond to them when they do happen. Positive reinforcement and attention will go a long way, and rest assured that you are not alone in this. If you are continuing to struggle with your child’s behavior, contact us for help! Our in-home parenting classes and support can give you information and strategies that will be tailored to your needs. We are here for you. Breastfeeding: natural, but not always easy! To be such a natural process, breastfeeding certainly doesn’t come naturally to everyone. From trouble latching to low supply, you may get discouraged, and you may want to quit, so in honor of National Breastfeeding Month, we are here to support you with some information and tips that can help you along the way. We’ve made so much progress in Tennessee over the last five years building strong foundations for thousands of children through our three home visiting models supported by MIECHV. It would be highly unfortunate to cut out these programs in communities across Tennessee where we are seeing so many positive outcomes. The crazy thing about parenting is that kids really don’t require all the latest and greatest gadgets, the fanciest clothes, or the most expensive stroller. What they need the most is love. And you’ve got that, dad. Dealing with a fussy baby? Hang in there. You think you know. You think you know how much a baby cries. You think you know, but until it’s 3 AM, it’s the third time you’ve been woken since putting her down to sleep at 9, and she’s been crying for forty-five solid minutes, you really don’t know. It’s frustrating, it’s stressful, and frankly, it makes you want to pull your hair out. So what do you do? At Prevent Child Abuse Tennessee, we partner with hundreds of mothers who have been bold enough to ask for parenting help because they love their children so much. We admire their courage to ask for help. Children Aren't Born Resilient, We Build It. Resilience is defined as the ability to thrive, adapt and cope despite tough and stressful times. It’s a natural counterweight to negative events children experience commonly called adverse childhood experiences. The more a child learns to be resilient, the more likely they are to deal with negative experiences in a healthy way that won’t have unfavorable outcomes over their lifetime. The “village” isn’t just for the children. We all know that it “takes a village” to raise a child. When a child grows up surrounded by a wide net of positive influence and support, from family and friends to the larger community, they are likely to experience success. What we don’t talk about often enough, however, is the importance of that wide net of support for the parents. 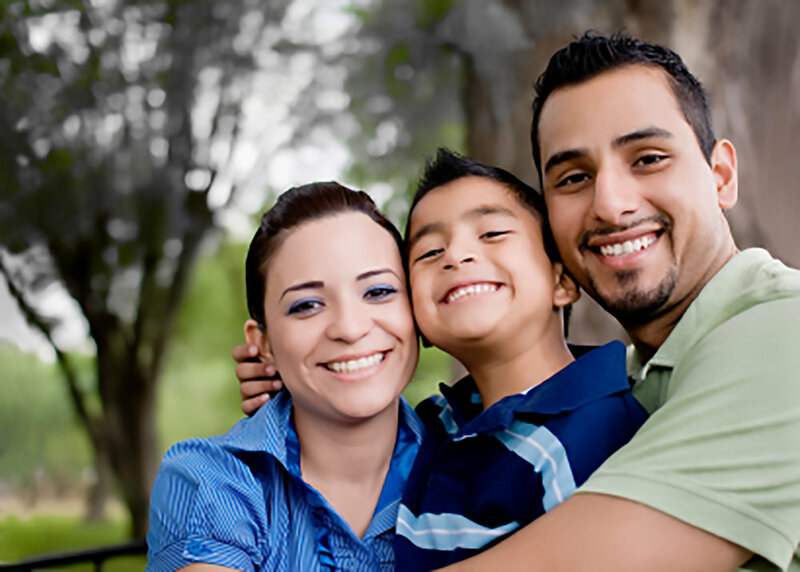 February is National Parent Leadership Month, and throughout the month, Parent Partnership TN is recognizing parents across Tennessee who are the “Unsung Heroes” in their communities. These parents exhibit resilience, persistence, empathy, and support for their children and for other parents. The Unsung Heroes are shining examples of what it means to be parent leaders, no matter what role they take on, formal or informal. When parents use their voices to effect change, communities become stronger, families become more connected, and children’s lives are positively impacted. If you’re listening during a flight attendant’s safety instructions, you’ll likely hear the phrase, “put on your own oxygen mask before assisting others.” That works in an emergency situation, but it’s hard in day-to-day life to put your needs above others’, especially the ones that you love. We talk a LOT about creating great childhoods for all children in Tennessee. It’s a lofty vision, but we believe it is possible. So how can we make it a reality? And how would things be different in Tennessee if we did? Throughout life, it is hard to escape stress. It’s important to know the typical emotional maturity your child should be expressing and how to help them identify and manage their emotions. Families need resources and support they can turn to in times of need. When communities offer help with meeting basic needs that families find themselves unable to provide, unintended neglect is prevented. Call 615-383-0994 or send us an email via our website.